Learn to loosen up your painting in a nurturing and upbeat atmosphere! 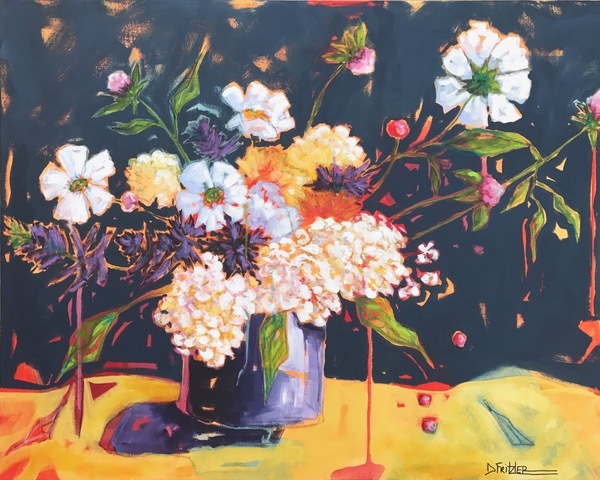 Dianna will bring fresh floral arrangements for you to paint in acrylic and will share all of her secrets to creating exuberant floral paintings! You will explore the use of vibrant color palettes, as well as mark-making ideas. Be ready to laugh and discover a new, non-intimidating way to approach painting flowers! Dianna Fritzler has taught multitudes of students across the country through her lively, informative and encouraging workshops. She believes that we are our own worst critics and that by exploring our creative gifts without judgement in an affirming environment we can unlock magic. From beginners to advanced, students discover new potential and create powerful works of art. 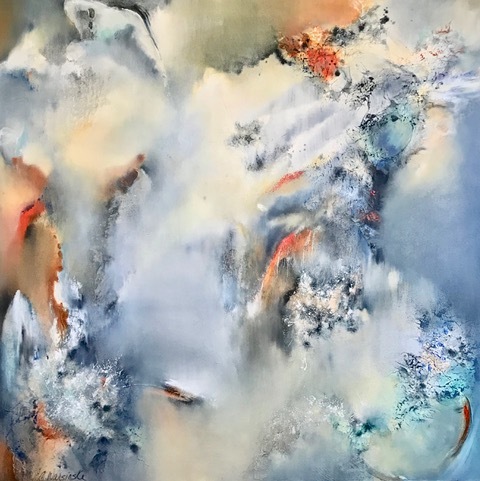 As a full-time artist, Dianna’s work is collected internationally and is in the public collections of Children’s Hospital Colorado, St. Mary’s Hospital, Colorado Mesa University and Hospice and Palliative Care of Western Colorado. Her work has sold through numerous galleries in Colorado and New Mexico. Her biggest honor is to be able to spread joy through her work and teach others how to find exuberance in creating.